Since jamb started releasing the 2019/2020 jamb results everywhere has been filed with jubilation while others who did not perform very well are busy considering their next line of action. We have started getting complaints like “I have not seen my Jamb result since on Saturday, Monday, Tuesday, Wednesday, Thursday and Friday that I wrote my Jamb exam, what will I do? Honestly those of you who found themselves to this page are either experiencing this or they have someone you is experiencing this right now. With out waisting much of your time we are going to use this medium to formally inform you all the major culprit of this problem. We believe that having full knowledge about the causes of the problem will help you to find instant solution. 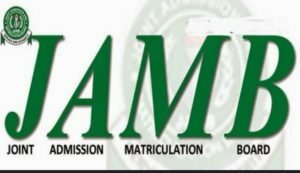 It will be recalled that the joint admission and Matriculation board jamb has made it intention know about those who were suspected to have cheated or engage in exam malpractice. If you know that you did or engage in any kind of exam malpractice, smuggled your phone into the examination hall, or got any form of assistance from anyone under the watchful cameras installed by jamb then the probability that you will see your jamb result is slim. Those who didn’t get themselves messed up by expo, runs or any form of examination malpractice don’t have anything to worry about, jamb will only release your results once they have established that you are free and didn’t engage in malpractice. On the other hand it might be that your results is among those results that has been pencil down for immediate uploading. Just calm down and keep checking never lose hope in any thing.